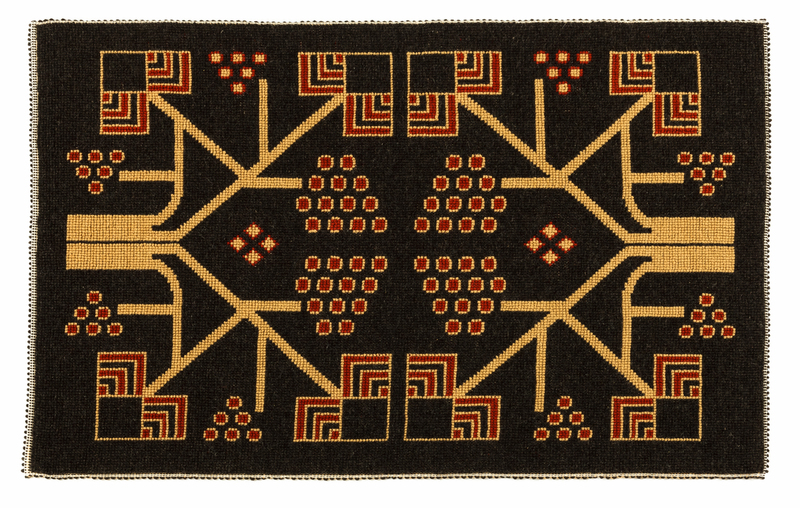 This hand-woven carpet is crafted on a flat loom with a pibiones reliefs. 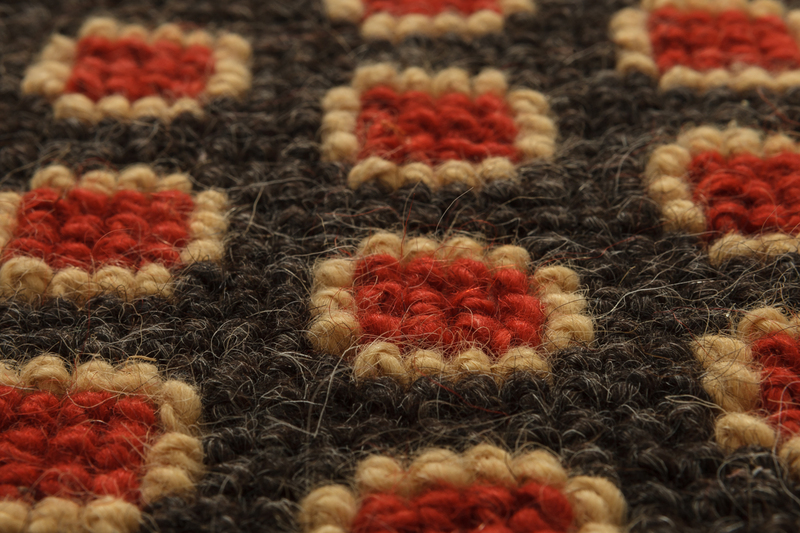 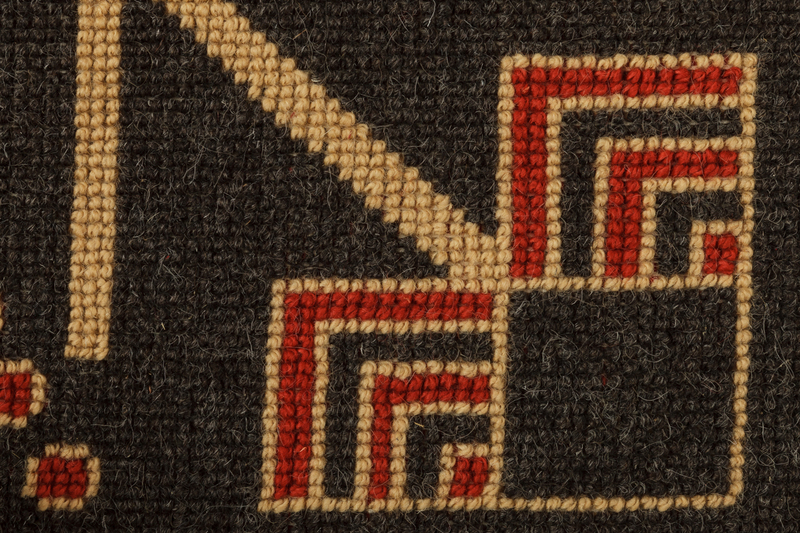 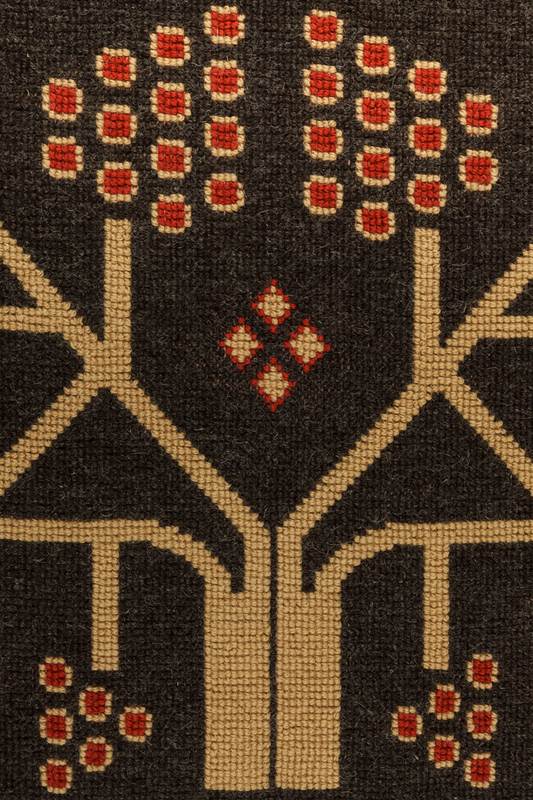 It is made of Sardinian T-moro brown wool, dyed with natural colours, featuring the typical sa musta e s’ascia motif, characterized by the use of grapes and shoots to bring good luck. 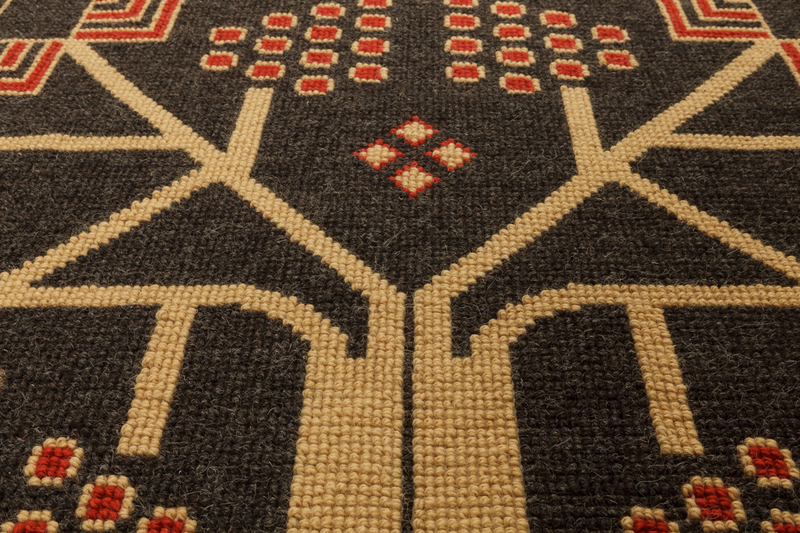 The artefact is part of a collection crafted in collaboration with a designer, inspired by traditional weaving motifs.